You’ve been asking about it. And we surely want to help again. We’re excited to announce our Second Annual #Pedal4Charity Week on Detroit’s Party Bike, The Michigan Pedaler. 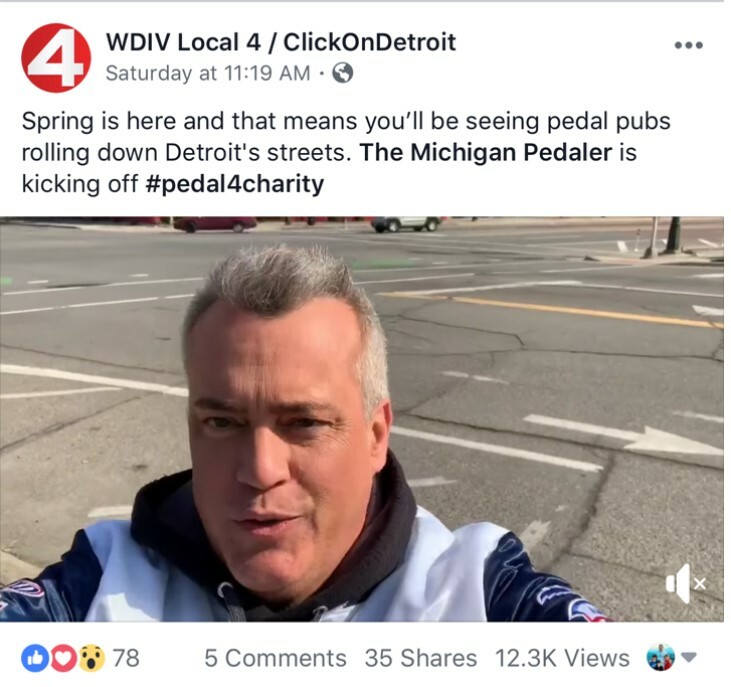 Last year, The Michigan Pedaler helped local charities and organizations raise $15,000 over the course of the week and this year, we’ll be throwing our bikes out there again inspired to help do some good in Detroit and the Metro-Detroit community. 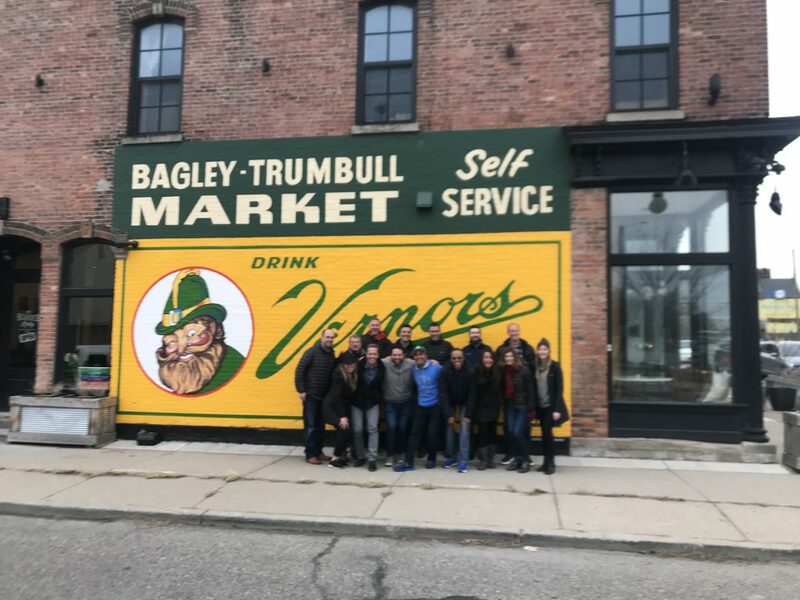 As we start our third season in business, it is important for us to have a way to give back to the community and thank the thousands of people who have supported us by riding on our bike and patronizing our business. Holding #Pedal4Charity week is easier than writing thousands of thank you notes to all of you – and in the end, it does a lot more good too. Of course, in addition to #Pedal4Charity Week, The Michigan Pedaler makes donations to hundreds of organizations for various fundraisers they are holding. We believe in supporting the community and giving back. To officially kick-off “Pedaling Season,” the week of April 2-8 will be our #Pedal4Charity Week. We’ll offer up to 50 rides on our bikes for charities to raise money on the bike. • Online or in person Auction. • Pledge Program – Selected riders solicit donations like a “Walk-A-Thon” and accumulate pledges from donors for “pedaling” around town. • Raffle – Organizations sell raffle tickets to raise money for the chance to ride the bike. This is our way of saying thank you to all of you! We hope those who rode our bike share this news with their favorite charities. While we can’t promise that every charity will receive a ride – and yes, some times are better than others – we hope we can find a way to help out as many as possible for them to raise some money. Application Deadline is March 9. We will reach out to charities selected by March 13. Complete details about the plan, FAQ’s, and some fundraising ideas are included in this PDF that you can download right here (click link): #Pedal4Charity Weekend 2018. To apply, you must complete the following application by March 9. We can’t wait to welcome charities and their supporters on the bike for our Second Annual #Pedal4Charity Week! The Michigan Pedaler is #FunDoneRight as we follow our motto to #PedalLaughLive — and in this case… we’re happy to do it while helping others.